How do we look for a counterfeit? 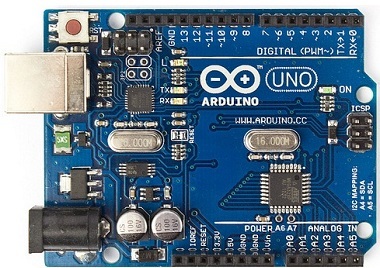 For a regular Arduino user, the differences may look apparent, but what about a first time user? 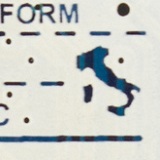 Like every clone that ever existed, we need to look for more than one marking. 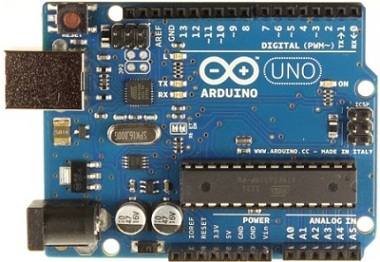 Take for example an Arduino UNO to look for all these indicators of an authentic board. 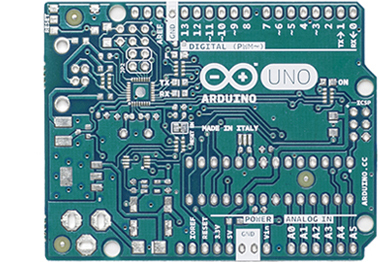 We are updating the color and the graphics of all Arduino boards: the new silk color is the classic Arduino teal ( read the blogpost ‎). 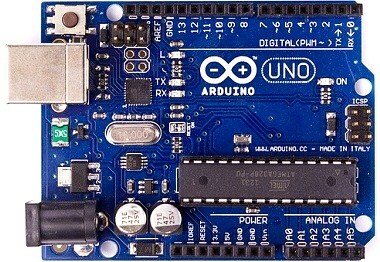 This means that right now original Arduino boards are either blue or teal. We also updated the graphics of the back of the board. 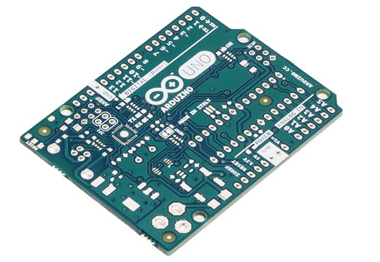 The authentic Arduino's color is either a mix of green and blue, or the classic Arduino teal. The counterfeits usually are blue to deep blue color. 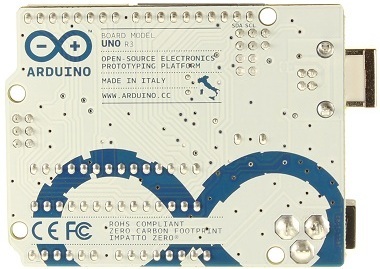 When you carefully observe the font in which the word 'Uno' or 'Arduino' is written we can find a difference. 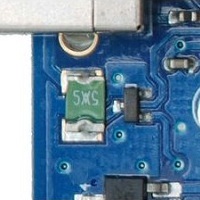 Arduino font is custom designed and cloners tend to overlook or not be able to reproduce the same. 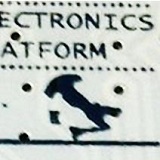 There is only one Arduino logo, which looks like this. 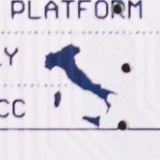 The fake, has 'rounded' edges and the print is not sharp. 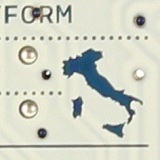 Turn your Arduino board around to see the map of Italy, saluting the place of its birth. 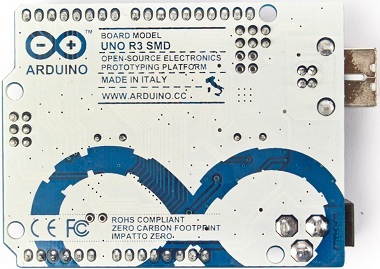 In every original Arduino the connections between components look 'woven' and beautiful, not 'pasted' and ugly. 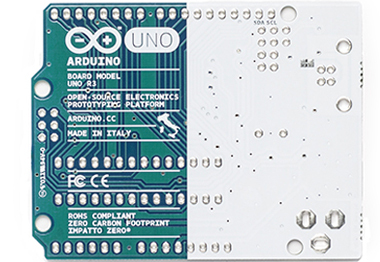 Please look for keywords like 'Arduino compatible' or 'Uno for Arduino' while buying online, because if the boards look like original Arduino, they are mostly fake. Here's a major fake-alert! 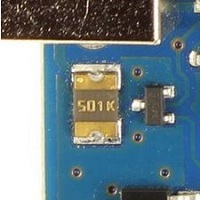 The component 501 K located next to the voltage regulator is generally green on fake boards. The green one has similar properties as the original Arduino golden-black component and is available off the shelf. 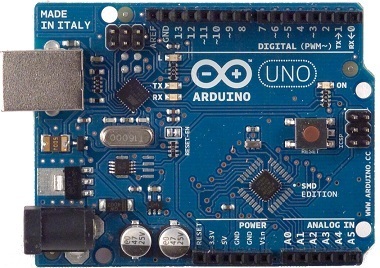 If an Arduino is being sold online for less than the stated price in the market, it may indicate a counterfeit. In case you catch any of your sellers selling such counterfeit boards, do report them to us at: trademark [at] arduino.cc.